Images of the sky conditions in the vicinity of the MST Radar site have been recorded at 1 minute intervals since 25th April 2007. 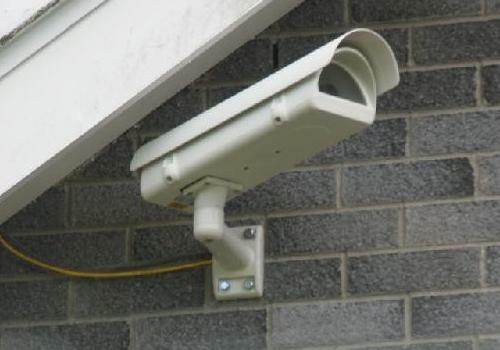 The camera (an Axis 211 network camera) is mounted on the (nominally) north-facing wall of the site bungalow. It is angled slightly above the horizontal and towards a magnetic bearing of 285°, i.e. approximately WNW. 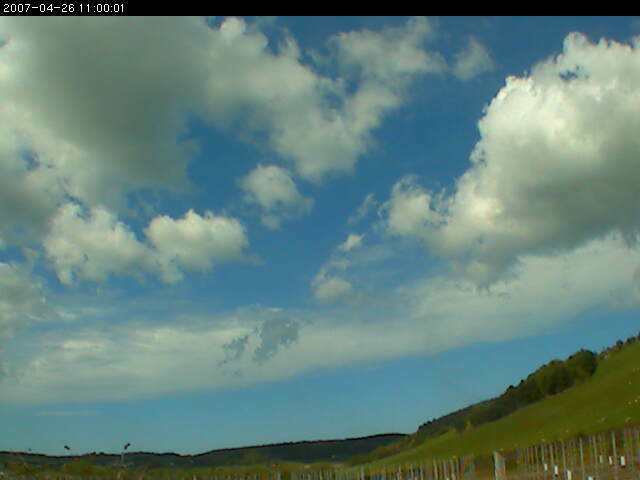 It gives good images during daylight hours - see the sample below. Between dusk and dawn clouds can only be seen if they are illuminated by the Moon. However, the Moon and the planets (so far Venus and Saturn) can be detected. The first image for each hour is freely-available through the quick-look plot archive. Access to the complete archive of images is restricted to registered NERC MST Radar Facility data users - click here to register for access. More details about the archiving convention for the 1 minute interval images can be found here. The 1 minute interval images are particularly useful when they are animated - click here for access to animation software. This can reveal features in the cloud patterns which are not apparent in individual images. Click here for a log of interesting events.